Deciding to dissolve your marriage can provide some relief from the stresses of a difficult situation, but once that decision is made, a host of other decisions is also necessary. Working out the terms of a divorce will take time and effort, particularly if the financial dealings of the spouses are intermingled, and if they have young children. As you embark on your new life, however, you can eliminate some of the immediate anxiety of your altered financial and family situation through temporary orders. Temporary court orders can put in place protections regarding support, child custody, and other critical matters during the pendency of a divorce. If you are filing for divorce, or your spouse has filed divorce papers, and you need temporary orders to make your immediate situation more secure, the San Diego divorce lawyers at Doppelt & Forney can assist you. On average, a California divorce proceeding takes 15 months from filing to final decree. It will take longer for a couple with minor children—an average of 18.2 months—compared to a divorce that does not involve minor children—11.2 months. Typically, a divorce proceeding will last between eight and 20 months, depending on how complicated or contentious the divorce is. Clearly, working out the final details of spousal support, child support, child custody, and so forth can involve a fairly protracted negotiation between the divorcing spouses and their lawyers. It may take months to fully catalog all of the couple’s assets and sources of income, and to come up with an appropriate accounting and allocation. In the meantime, however, both spouses have real financial needs and practical concerns about who will take care of the children and how they will manage their affairs on a day-to-day basis. Prophylactic provisions to protect the financial status or security of both spouses. The essential purpose of temporary orders is to hold in place the financial status of the marriage, while also making sure that both parties can function in their day-to-day lives. The provisions will not, however, govern the final divorce order. Temporary orders can resolve such things as who will live in the family home, whether and how much one spouse must pay the other for spousal or child support, who will use which vehicle, and how bills and debts will be handled until the divorce is final. Temporary orders can be put in place early in the process. In fact, a spouse can seek such orders when a divorce is filed, and it is likely that a hearing can be scheduled within 30-90 days depending on San Diego Superior Court Calendar. A party seeking a temporary order must file a motion called a Request for Order with evidence, such as pay stubs and income figures, bills, and budgets, as well as a declaration as to why the order sought is justified. A temporary order hearing is usually 40 minutes or less. For that reason, both parties should prepare thoroughly to get the order in place expeditiously. A couple may also work out their own temporary agreement and present it to a judge to make it legally binding. In the hearing, the judge may sign the order as is, make changes, or request additional information and schedule a follow-up hearing. 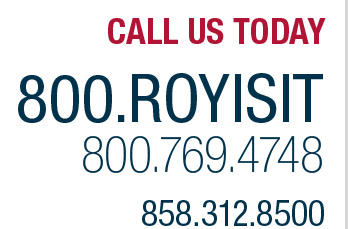 If you need legal advice, assistance, or representation in applying for temporary court orders, call the divorce lawyers at Doppelt & Forney for a free consultation at 800.769.4748, or contact us through this website. We proudly assist people in San Diego, Oceanside, Carlsbad, Chula Vista, Vista, La Jolla, Point Loma, Coronado, Del Mar, Ramona, El Cajon, La Mesa, and nearby communities.